Mr. Zirzow has practiced exclusively bankruptcy law and business litigation on behalf of both businesses and consumers in Nevada since 1999. 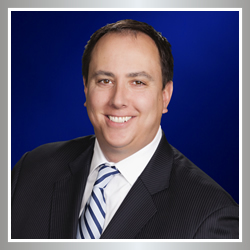 He is one of only a handful of attorneys in the State that is nationally certified in Business Bankruptcy Law by the American Board of Certification. 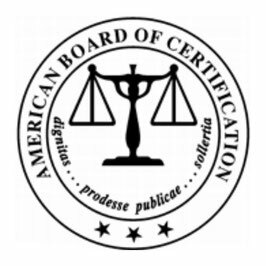 Mr. Zirzow also holds an “AV” preeminent overall peer review rating from Martindale-Hubbell for his bankruptcy practice and ethical standards. 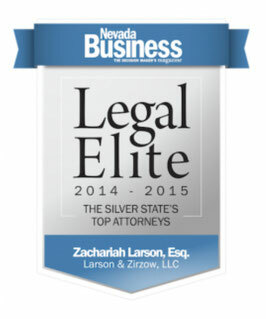 Mr. Zirzow was previously an attorney with one of Nevada’s oldest and largest law firms for more than 14 years, but in 2013, joined forces with Mr. Larson to allow him to bring his “big firm” experience to provide more individualized client attention that can only be had in a boutique firm environment. Mr. Zirzow’s practice covers all aspects of restructurings, having represented companies, lenders, purchasers, unsecured creditors, and trustees in a variety of chapter 7 and 11 bankruptcy cases. He also has restructuring experience in a wide array of industries including but not limited to real estate development, hotel-casinos, construction, and a variety of small businesses. In particular, Mr. Zirzow has significant experience representing operating debtors under chapter 11 in assisting them with restructuring their business and financial affairs. Mr. Zirzow has also served as lead counsel in a variety of complex bankruptcy-related litigations and trials, including but not limited to chapter 11 plan of reorganization confirmation hearings, officer and director liability actions, and consumer nondischargeability litigation. He has also briefed and argued numerous bankruptcy-related appeals before the U.S. District Court for the District of Nevada, the Bankruptcy Appellate Panel for the Ninth Circuit, and the U.S. Court of Appeals for the Ninth Circuit.